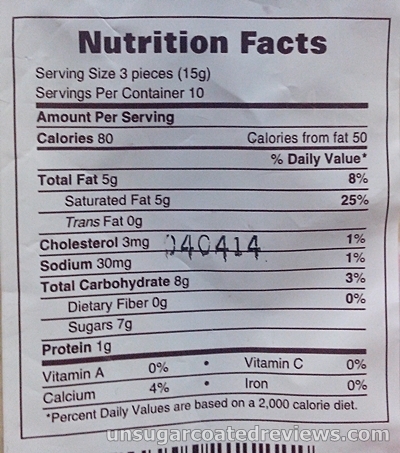 I have been gorging on Ricoa Flat Tops milk chocolate for several weeks now. It's hard to stop. This chocolate has become a permanent fixture in our grocery list. 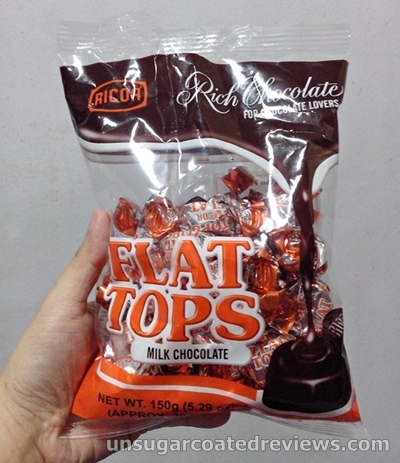 What I like about Flat Tops is the distinct Ricoa chocolate taste and the just-right sweetness. 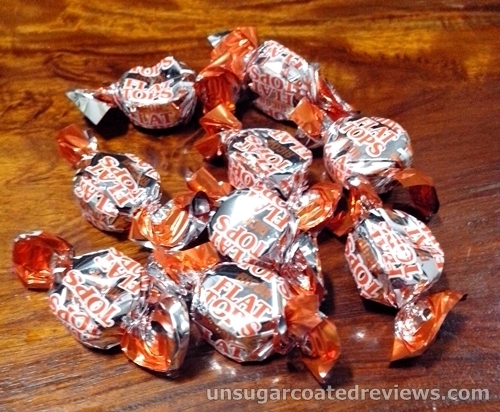 The 150g pack contains 30 bite-sized pieces that are individually wrapped in orange and silver foil. It cost me P36 -- not bad, only a little more than P1 for each of these yummy babies. The pieces being individually wrapped makes it easy for you to share the pack with your family and friends (and also to fool your trying-to-lose-weight-and-cut-down-on-sugar self that you're going to eat just one piece -- just one piece!! -- for dessert). Sobrang naadik ako sa Curly Tops lalo na't tag ulan ngayon, para kasing na lulusaw sa bibig un kapag kinaen mona. Kaya nung umorder ako sa goods.ph (https://www.goods.ph/ricoa-choco-flat-tops-30s-7164.html), ng isang pack kaso mukang kulang kasi kahati ko ung kapatid ko haha! how to make homemade flat tops? Walang tatalo sa chocolate na to. Panis ang imported chocolates. Seryoso. 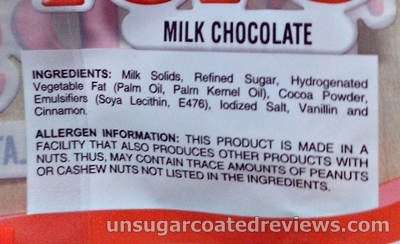 I do have a very disgusting experienced with this product which is actually my all time favorite chocolate and i am very dissapointed that these experienced made me and my family and all my friends stopped gorging and not to buy flat tops again. I have ate 1 pc of flat tops that has a live worm inside and after i found out whats inside i did checked for the other pieces of flat tops and was shocked when i figured out that another piece has the same thing i have with the firat one. this was just yesterday May 09, 2017 and i am decided to put this in social media for everyones awareness. I have a lot of pictures and video taken and i will put this in public once i didn't get any feedback from tje produc company itself. I agree with you, just today I found out that there's a worm with my flat tops. Out of shock I instantly vomitted it, it was a very disgusting experience.